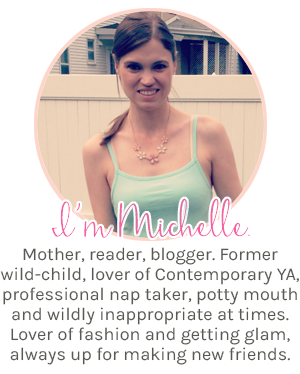 Pink Polka Dot Books: Are We Missing All the Good Stuff?? Are We Missing All the Good Stuff?? Reading Too Fast: Are We Missing Out? Okay so I'm not the fastest reader in the world, I am always wishing that I was though. I know some of you read like 150-200 books per year, and I get super jealous. How do you do it?? How??? Anyway, I think that when I actually sit down and read that I do read at a pretty fast pace, it's that I tend to slack and not read when I could. Like on weekends when I actually have bulk time to read, sometimes I won't read at all!! 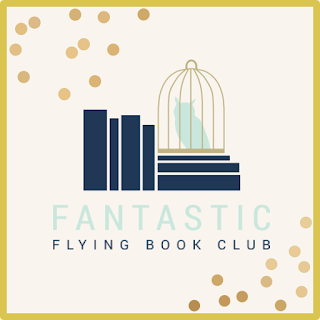 But when I do read, especially if I'm into the book, I tend to fly through certain parts, just wanting to know what's going to happen. Later on, when thinking about this book, it becomes harder and harder to remember those details that happened in the parts where I was speed reading. And then I kind of get mad at myself for doing that. Especially if I like the book... shouldn't I be savoring books that I'm into?? Isla and the Happily Ever After is a perfect example of me doing that. When Josh and Isla go to Spain, I was just so excited for them, that I skimmed through what was a very beautiful setting and some exciting and romantic moments. I'm reading The Hunger Games right now, and because this is an exciting series, I find myself rushing through certain parts. I'm already on Mockingjay and I'm regretting that I didn't read the first 2 books more carefully (although shockingly the movies are almost identical, so I could probably just rewatch those). The problem is that I don't reread. Sometimes I want to, but I never find the time with ALL the books that come out every week. So if I don't pay attention and read a book thoroughly, there is a high chance that I will never get back and relive those moments. So what can I do about it? Nothing, really. I just get so excited during intense moments and I just can't wait to find out what happens!!! I wish I could slow myself down... but I just can't. The best solution I can come up with is that once I get past the really thrilling part, to go back then and there and re-read the parts I've skimmed over. So what about you?? Do you ever find yourself loving a book, but not savoring the best moments?? I completely get what you are saying. I have this issue with very thrilling on the edge of your seat books. I miss things when its a fast paced book. Those are the kind I like to revisit on audio. I get so much more from audio. I really remember more of a book sometimes on audio and I think I just read too fast when I love the book. Its very hard to slow down when its good though. I try I really do. I want to make it last but yet I need to know what happens. So I get it I do. Great post. Good idea!!! I could totally see myself making time to re-read on audio! I totally know where you are coming from. Ever since I started blogging I've felt pressure to up my Goodreads challenge number every year, and where I used to be happy reading 30-40 books per year I am now up to 60-70 (and it still doesn't seem like enough to produce content for my blog, seeing as so many bloggers read 100+)! I rarely ever skim though and I have to remind myself that I'm reading for MYSELF and writing thoughtful reviews for myself and that can only happen if I give a book the amount of attention I need to, whether that's not skimming or going back and revisiting certain parts I didn't catch the first time. As a fast reader that sped through 300 books in one year (and has progressively reading less books since...) I can say that I don't like reading slow. I want things to happen, I always want to pursue new things. It's also partially that now that I'm in college, I have to read school articles meticulously slowly and write notes, so reading fast isn't just something I like, it's kinda liberating. I don't want to remember all the details, I just want to be entertained! And for me, reading fast doesn't mean I'm not savouring the best moments. Sometimes I will put the book down and think about how awesome it is. But reading it slowly kind of ruins the fun too. Anyway, I wrote a longer post about this a while ago if you're interested! That's a good idea!! I used to be way better about doing stuff like that and now I'm just lazy :( I need to change in 2015!! When a book has a lot of action I will definitely skim and speed through parts to find out what happens next. I don't mind it as much in a book that's mostly action and not as character driven, but I'm probably missing out on a lot of things. 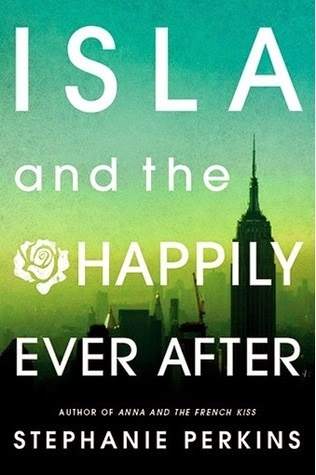 Isla and the Happily Ever After is definitely one I slowed down to savour though just because I love the way Stephanie Perkins sets a scene. I did have to make a conscious effort. I totally get where you're coming from about book counts. I definitely don't read as much as most bloggers and am always reminding myself that this is fun and a hobby that's primarily so I can discuss books with people who love them as much as I do. At the same time I want to read everything and there's never enough time. I'm the same way. I sometimes have to go back because I skimmed to get to the good stuff and missed something important. I also struggle with wanting to read 200 books a year but instead of reading watch tv, am on my phone (twitter, FB, etc). When I love a book, I savor the moments. It's when I don't love a book or certain aspects of a book, that I tend to rush. For example, I really just did not like the last two Twilight books, but I was determined to finish the series. I skipped half a chapter in book three and I just sort of glossed over the ending of book 4. Then there are books like Fangirl by Rainbow Rowell, which I adored...but still skipped through. All the fanfiction excerpts were distracting, so I just skipped over them to the story I really wanted to read about-- Cath and her experience as a freshman in college.